I am the PVC/Dean of the College of Arts, Humanities & Education and thus provide the executive leadership of the College which is composed of the Schools of Arts, Humanities & Journalism and the Institute of Education. As PVC/Dean of the College of Arts, Humanities & Education, I am principally involved along with other colleagues in the leadership of the College but I maintain teaching commitments through PhD supervision and the good grace of History colleagues in the School of Humanities & Journalism who allow me to deliver the occasional lecture on their modules relevant to my subject expertise as a historian of early modern military and navy. I am an early modern military and naval historian. I completed a MA in History and Politics at the University of Glasgow before heading south in 1997 to undertake a MSc in International History at the London School of Economics & Political Science, University of London. Having found 20th century history unremittingly grim, for my doctorate I decided to return to the 17th and 18th centuries and indeed the University of Glasgow where, under the aegis of the Scottish Centre for War Studies, I wrote a thesis on combined military and naval operations between 1688 and 1714. I have subsequently published on early modern warfare and on army and naval organisation and command. Very recently, I gave the 20th century history another chance by publishing on the Edwardian navy. Reassesing the British Way in Warfare: Strategyc and Tactics during the Reigns of William and Anne (London: Bloomsbury, 2019). ‘Swimming in the ‘Fishpond’ or solidarity with the ‘Beresfordian Syndicate’: An analysis of the inquiry by the Subcommittee of Imperial Defence into Naval policy, 1909’, International Journal of Naval History, 12 (2015). 2009-2012, Author and editor of ‘Chapter 3: The Seventeenth and Eighteenth Century before the Revolution’ in American Foreign Relations Since 1600: A Guide to the Literature, ed. Tom Zeiler and published online by EBSCO. Known as the SHAFR (Society for Historians of American Foreign Relations) Guide, biannual updates are published in April and October. ‘The Restoration and the Glorious Revolution, 1660-1702’ in Edward Spiers, Jeremy Crang, Matthew Strickland (eds), A Military History of Scotland (Edinburgh: EUP, 2012). Contributing editor and author of the entries, ‘Gunpowder’, ‘Queen Anne’s War, 1702-13’, ‘Wars of the Polish Succession, 1733-35’, ‘Commodore Oliver Perry (1785-1819)’, ‘War of the League of Augsburg, 1688-97’, ‘Eugene of Savoy (1663-1736)’ and ‘Charles XII (1682-1718)’ for The Encyclopaedia of War, ed. Gordon Martel (Oxford: Blackwell, 2011). ‘The Blessed Trinity: The Army, The Navy and Providence in the Conduct of Warfare, 1688-1713’, in David Onnekink (ed. ), War and Religion After Westphalia (1648-1713) (Aldershot: Ashgate, 2009). ‘“A Mediterranean Amphibian”: British Warfare, 1693-1713’, Journal of Mediterranean Studies, 16 (2007). ‘Sir Francis Wheler’s Caribbean and North American Expedition, 1693: A Case Study in Combined Operational Command during the Reign of William III’, War in History, 14 (2007). ‘Wellsprings of a “World War”: A Early English Attempt to Conquer Canada during King William’s War, 1688-1697’, The Journal of Imperial and Commonwealth History, 34 (2006), pp. 155-75. ‘Combined Operations and the European Theatre During the Nine Years’ War, 1688-1697’, Historical Research, 78 (2005), pp. 506-39. Professor Keith McLay, Pro Vice-Chancellor Dean of the College of Arts, Humanities & Education, writes about Speaker Bercow’s ruling on the Meaningful Vote. 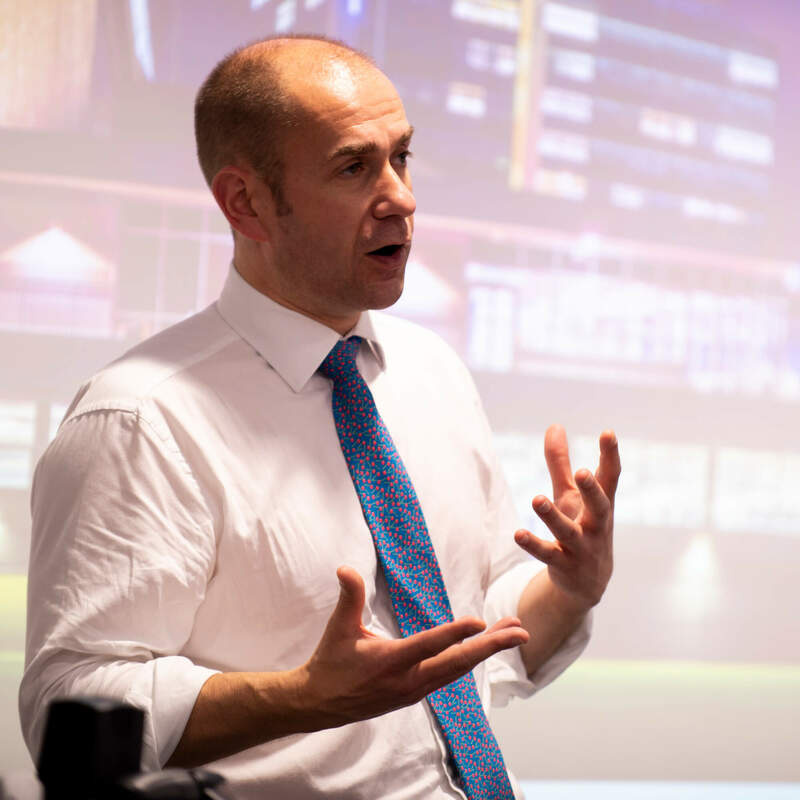 The University of Derby's Professor Keith McLay reflects on his recent trip to the British Council's SPARK Festival of Creativity in Hong Kong. Professor Keith McLay, Pro Vice-Chancellor Dean at the University of Derby, writes about Brexit and the power of language to change the course of history. The University of Derby's Professor Keith McLay shares his thoughts on the historical context of this week’s Meaningful Vote on Brexit. The University of Derby's Professor Keith McLay writes about Remembrance Day, leadership and the lessons from history. Professor Keith McLay shares his thoughts on his overseas trip with Professor Judith Lamie to China and Hong Kong. Professor Keith McLay, Pro Vice-Chancellor Dean of the College Arts, Humanities & Education at the University of Derby, reviews Noël Coward’s Private Lives. Professor Keith McLay discusses the criticism surrounding the British Army’s new recruitment campaign, which promotes the emotional support given to troops.